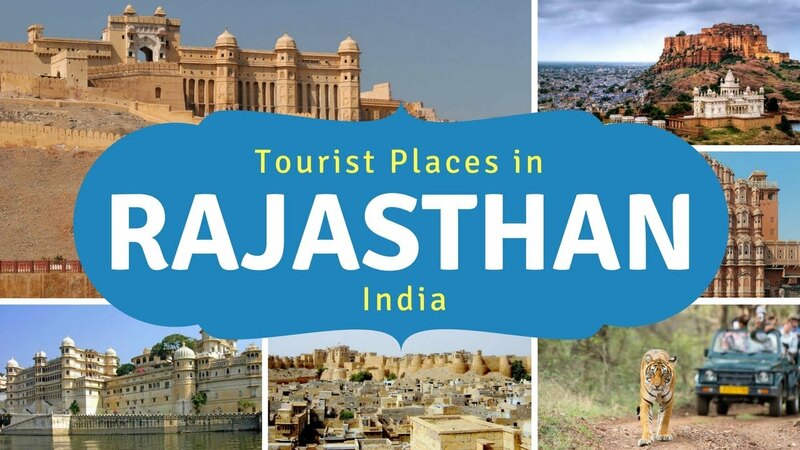 Its very difficult task when it comes to suggest top places to visit in Rajasthan because whole state of Rajasthan is beautiful and all places are have its own bravery story. The word Rajasthan means Land of Kings or King’s Abode so it appears from name of the state is how beautiful its past was. State have have everything to offer to a traveller starting from Traditional and Modern look of Jaipur, Old Jaipur offers Forts, Palaces, narrow lanes than New Jaipur offers comfort of Metro rail big govt building with newly builds malls to Big road. Same way Rajasthan state offers Fort, Palaces to Dune bashing in Thar dessert to Experience of Hill station in Mount Abu. Hotel stay in Rajasthan starts at Rs499 per night to 4lakh per night. Rajasthan is famous for world class heritage hotels. Hotels like Taj Umaid bhawan palace in Jodhpur is world’s best heritage hotel awarded by traveller in recent traveller surveys. Similarly whole Rajasthan is full with heritage hotels available in all sort of budgets. Here we tried to put major tourist places in Rajasthan as per our experiences of Royal Rajasthan. Confirm you Rajasthan tour packages with travel agents in Delhi. 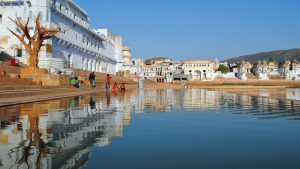 Pushkar Tour:-Pushkar is a sacred town for the Hindus, situated 11 kms to the North-West of Ajmer.It Pushkar is one of the enchanting places in the royal sate of Rajasthan where traditions meet beauty on the golden sand. Jaisalmer Tour:- Jaisalmer is worldwide famous for its hospitality and culture. Desert festival is celebrated every year in the month of January/ February, where camel races and folk dances are organized. Udaipur Tour:- Udaipur is the city of sunrise. It is a city replete with beautiful lakes, marble palaces, landscaped gardens and ancient temples.Jodhpur is the famoust tourist destination in rajasthan. 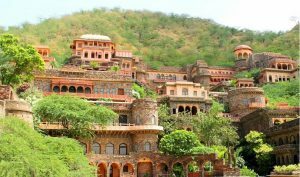 Alwar Tour:- Alwar is a city and administrative headquarters of Alwar District in the state of Rajasthan in India. It is located around 160 km south of Delhi, and about 150 km north of Jaipur, the capital of Rajasthan. All types of Rajasthani dishes as Gatte ki Sabji, Dal Bati, Missi Roti with Chutney are the alluring features of Alwar. Jaipur Tour:- One of the most glorious marvels or Jaipur is the City and located in the desert lands of Rajasthan..it has vast area. Many buildings, well-planned gardens and huge courtyards are a part of the complex. For visiting dignitaries, Sawai Madho Singh II. 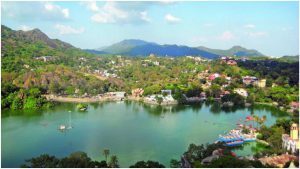 Mount Abu Tour:-Mount Abu is declared closed area since 1965. Although, complete area of 328 sq. km. of Abu Hills is declared protected but officially 112.98 sq. km. is under unnotified sanctuary area (Anon., 2003). Jodhpur Tour: – Jodhpur is like an oasis in the vast desert.One of the most fascinating cities of Rajasthan. It is encompassed by a 10 km long and high wall with 8 gates and innumerable bastions. The majestic forts, palaces and temples retain the historic and royal grandeur of the city of Jodhpur. Ranakpur Tour:- It is the one of the most important pilgrimage site of jainism.It has one of tha five holy place of tha jain community. 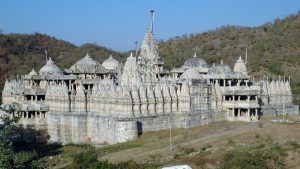 The main tourist magnetism in ranakpur is the ranakpur jain temple. 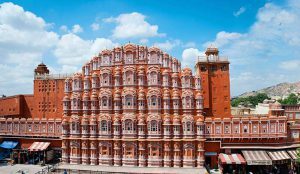 Note:- Why Hawa Mahal Is Famous? Bikaner Tour:-Bikaner is a marvel of Rajput architecture. It is among the three important cornerstones of the Rajasthan travel circuit and offers a glimpse into the real Rajasthan.Junagarh Fort is attraction place in bikaner rajasthan. Nathdwara Tour:-Nathdwara is a popular Hindu pilgrimage site. 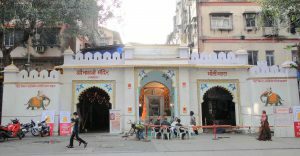 This is one of the most celebrated pilgrimage shrines of India, enshrining Krishna as Govardhana Giridhari. Nathdwara is situated 48-km northeast of Udaipur in Rajasthan, on the banks of the Banas River. 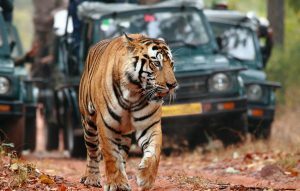 Ranthambore tour:- Ranthambhore:-The Ranthambore National Park occupies a picturesque location at the meeting point of the Aravalli Hills and the Vindhyan Plateau in the eastern Rajasthan. The park is located in the Sawai Madhopur district of southeastern Rajasthan, which is about 130 km from Jaipur. Rajasthan Tour Packages enveloped almost all the Popular Tourist Destinations and Places. 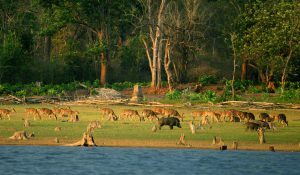 The above mentioned tour places are the semantics of the Packages offered. Rajasthan holiday packages gives its client a whole new category of tour packages that can not be ignored once visited . ghumindiaghum offers all Rajasthan travel packages at very affordable price. Budget Rajasthan tours is a part of the tour operators in Delhi, India. Previous Post Why Hawa Mahal Is Famous? Very nice post. I just stumbled upon your weblog and wished to say that I have really enjoyed surfing around your blog posts. In any case I?ll be subscribing to your feed and I hope you write again soon! something completely, however this paragraph gives pleasant understanding yet. Hi, I do think your web site might be having browser compatibility problems. Hi there colleagues, fastidious post and nice arguments commented at this place, I am really enjoying by these. happy to read through all of them and have in effect very much been tapping into those things. individuals are really eager to understand about. My very own honest regret for not expressing appreciation to earlier. Wow, fantastic blog layout! Hoow lng have you been blogging for? to chеck oսt your webѕite on my iphone during lunch breaқ. when I get һome. I’m surprised at how fast y᧐ur blog loadеd on mmy cell phone ..
I’m not even using WIFI, just 3G .. Anywaｙs, great site!